I love fruit desserts like pies and cobblers. 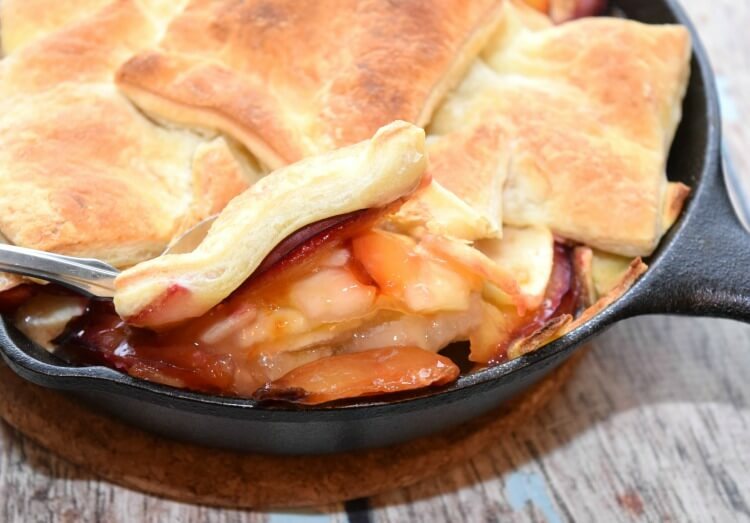 When I made this Ham & Cheese Breakfast Braid the other day, I had some leftover puff pastry, so I decided to whip up a quick puff pastry cobbler in my little iron skillet. This is a great dessert when you need to use up some fruits. You can combine just about any, throw some puff pastry on top, and bake it while you’re eating dinner. 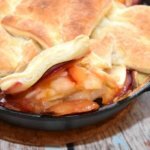 I had some Honeycrisp apples and some fresh red plums that were just perfect for a fall dessert. I used to avoid making apple desserts because I hated peeling and coring, but last year my husband got me this amazing KitchenAid mixer attachment. 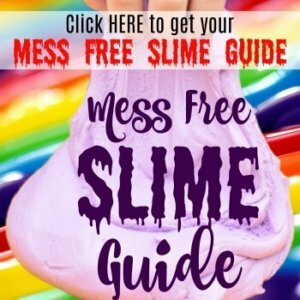 It does it all for me in one step. I love making apple desserts now. 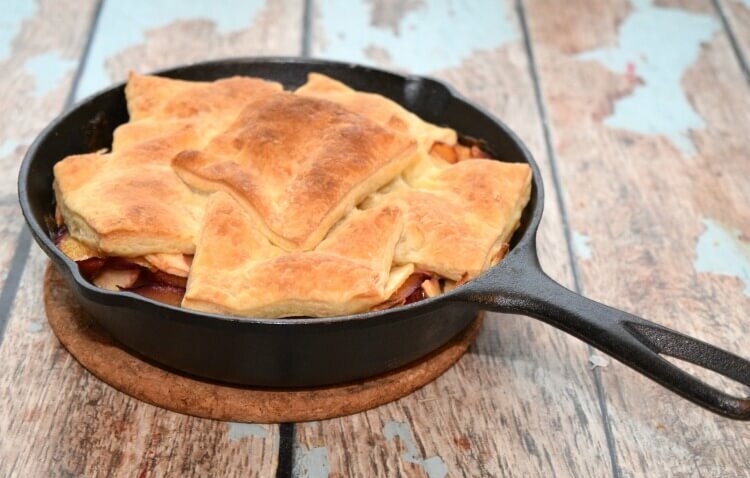 I used a 9-inch iron skillet for this apple plum skillet cobbler. I peeled and cored three apples using my attachment. Then, I sliced up 4 ripe small plums (and I did not peel them). I combined them together and add sugar and cornstarch and poured it into the skillet. Then, I baked it for 20 minutes. Next, I took a defrosted piece of puff pastry and cut into 9 squares. Then, I added 6 of them on top of the baked apples and plums. Then, I baked it again for 30 more minutes until the puff pastry was golden brown and the apples were tender. I let it sit for about 10 minutes before serving. 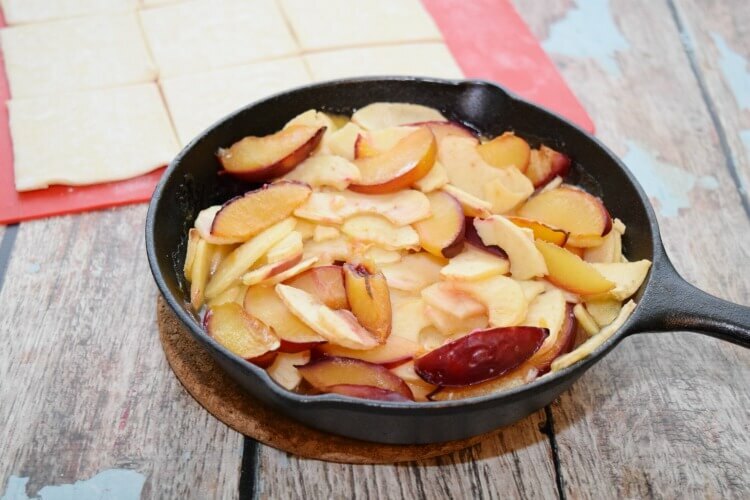 Combine apples and plums into a bowl with cornstarch and sugar and mix. 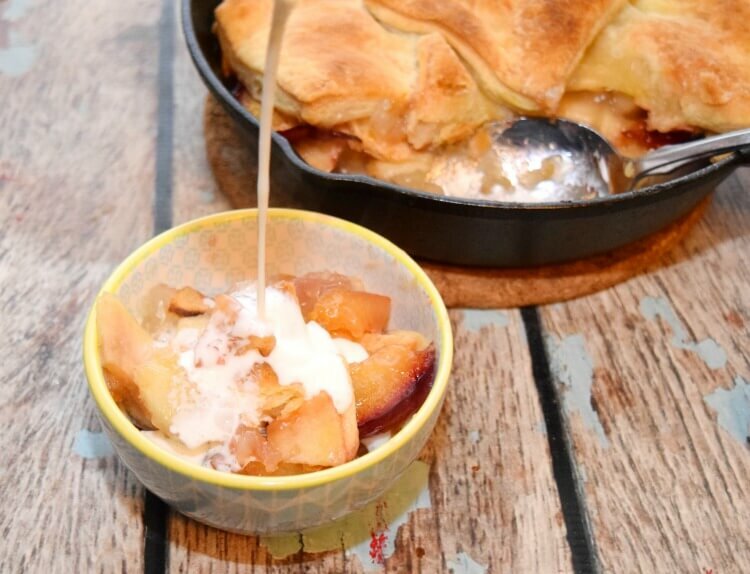 Pour into 9-inch iron skillet. 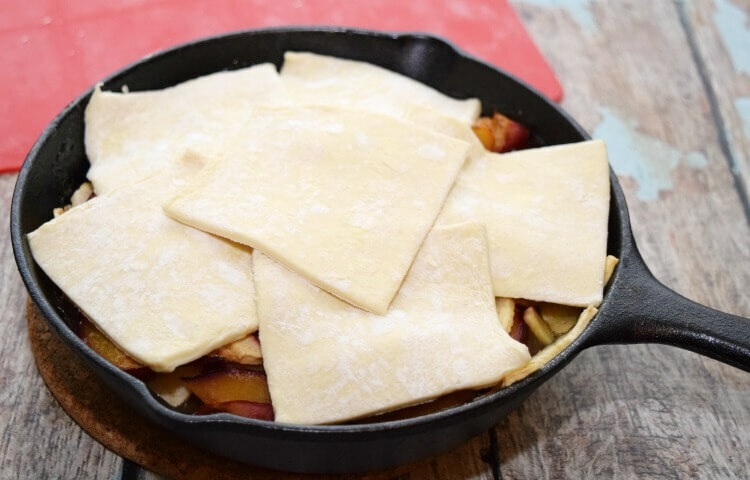 Cut the puff pastry into 9 pieces and lay 6 pieces over the top of the apples and plums. Bake for another 30 minutes until puff pastry is golden brown and apples are softened. Whenever I make a skillet cobbler, I’ve found just pouring a little bit of whipping cream over the top makes it just heavenly. My family loves doing that. That’s all there is to it. 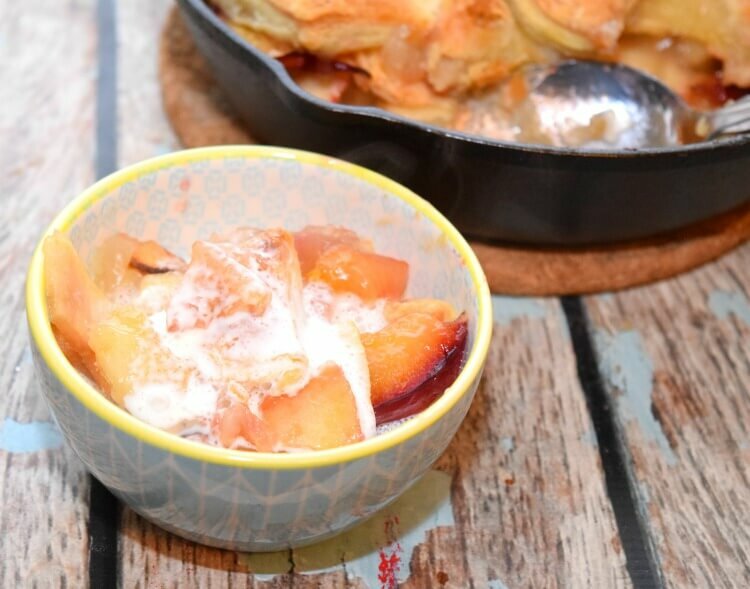 It’s a delicious fall dessert your family will love. I have a cast iron skillet and I am still nervous to use it. 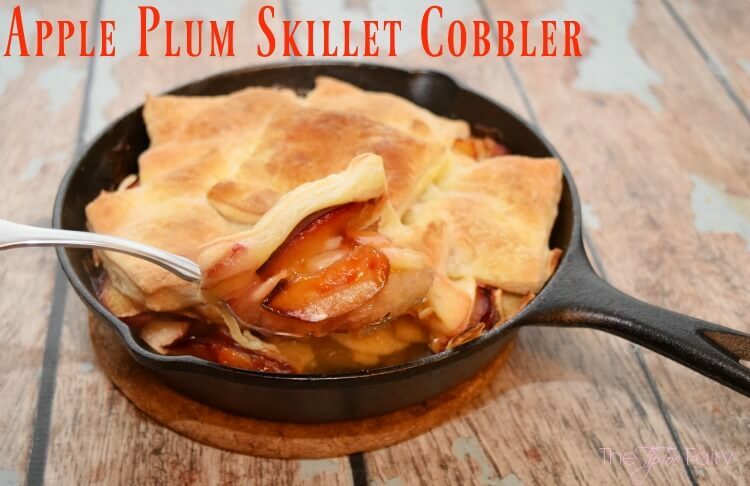 This cobbler looks wonderful. Thanks for hosting Pretty Pintastic with me and I hope you will link up with me at Small Victories Sunday linkup too open all week.